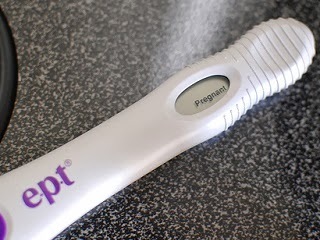 I went to the doctor on Tuesday, and they confirmed I am definitely pregnant. I'll be six weeks pregnant tomorrow, and I will be 46 years old when I deliver this baby. I told my parents and my sister, but that will be all for now. I miscarried last time, and had already told everyone. My boyfriend seems to be a bit better about things. I think it'll change when I start to show. I think as soon as we stopped trying - I got pregnant! -- Pregnancy books on the market have one of two audiences- the teen with an unplanned pregnancy or the adult with a planned and chosen one.